IndiGo Airlines is a low-cost carrier that is situated in the Gurgaon, Delhi. It is found in 2006. Its primary hub is the Delhi’s Indira Gandhi International Airport (DEL). Its secondary hubs are the Mumbai’s Chhatrapati Shivaji International Airport (BOM) and Kolkata’s Netaji Subhas Chandra Bose International Airport (CCU). The airline operates to 46 destinations both domestic and international. It flies to 33 domestic destinations as well as Nepal, Oman, Singapore, Thailand and the United Arab Emirates. Each of the aircraft is configured with a single Economy Class cabin. Passengers must be aware of all the details of IndiGo web check-in options to make his/her journey smooth. Customer carrying more than the allowed baggage will be charged and that is counted as excess baggage. Passengers have to pay for the excess baggage up to 6 hours before the departure time via the website. Free baggage is allowed for the passengers who are traveling from domestic to international sector or vice versa. Free Baggage Allowance of 15 Kg per passenger is allowed for the passengers who are traveling on domestic Sector and having the connection on another airline to/from an international destination. The passengers may pre-book their meal while making the reservation. They can also add it later online or by calling. Meal booking: If you have not pre-booked your meal you can also purchase food items on-board basis availability. You have the choices on the available Food and Beverage on all flights if the flying time is below 60 minutes. You can only choose from your favorites Cookie Tin or Nut Case and a bottle of water on selected flights if the flying time is below 30 minutes. It also offers alcoholic beverages on its International flights. It provides water free of charge on all its flights. Passengers can bring food items on-board like cold snacks, non-alcoholic drinks, snack bars and biscuits. Messy, oily or strong smelling food items are not allowed onboard. An infant amenity varies with the aircraft. Look for the Infant Amenity Icon on the aircraft seat map page. Click on it and it will display the infant services that are available on that plane. The children, who are 2 years old, are not required to have their own seat. They can sit on the lap of an adult. Only one lap child is allowed with per adult. No baby seats or strollers are allowed in the aircraft cabin. No extra seats may be booked for infants. Infants do not qualify for a free baggage allowance. A ticket will have to be purchased for any flight if the infant’s age is over two years old. Neither lap children nor infants are allowed to sit in an exit row. All passengers who are sitting in an exit row must be at least 15 years of age. You can also purchase a seat for your infant as long as you have the proper child restraint device. The children who are traveling without a parent or an adult are considered to be as unaccompanied minors. Most airlines assist these children to reach from them to their final destination. The service is mandatory for those children, who are the age 5 to 11 years old. The child whose age is 16 years old can travel without an adult. All unaccompanied minors must have photo identification at the airport. A parent or guardian’s signature is required on the form at the point of check-in. Make sure the form must include the name and contact numbers of your parent or guardian. The children must have the valid photo ID card and the parent’ are also available at the check-in point. It is applicable for those passengers who are above the age of 60 years. For such passengers, It provide the discount of 8% on base fare. The all they want from you, a proof of Date of Birth and needs to be presented at the time of check-in. It is applicable for a war widow, for a serving or retired personnel of the Armed Forces and for the Paramilitary Forces of India. But you must have your valid photo ID and relevant military ID and needs to present it at the check-in counters. The students who are above the age of 12 years must have a valid student ID card. And need to present it at the check-in counter for verification. It also provides the discount of 8% on base fare & an extra baggage allowance of 10 kgs. When booking for 2 to 9 passengers on the same IndiGo airlines PNR status, It provides the services on the Family Fare. It is only valid on the selected sectors for domestic flights. 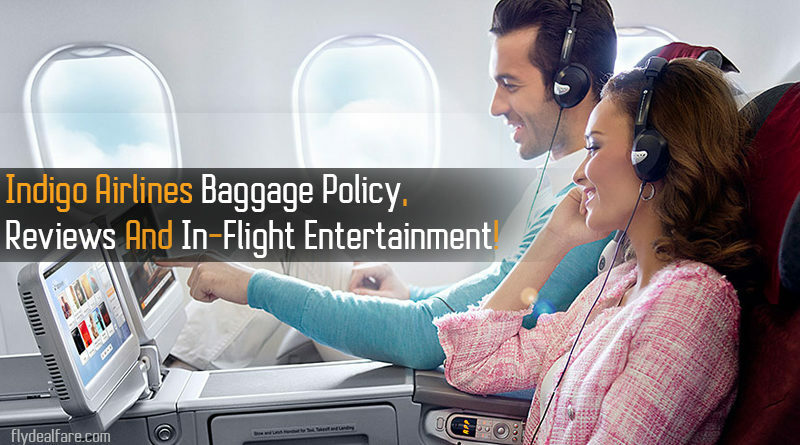 This article contains the in-flight services, Baggage allowance, and other entertainment options. So, want to be upgraded with the facilities, read and make your trip enjoyable. This flight is economical. It would be better if they provide some in-flight entertainment options. It is always try to keep their quality of service for the money we paid. The aircraft was good and bright interiors were welcoming. Also, the staff was very friendly and felt enough leg space. The takeoff and landing were smooth and the only thing lack was food which is not available on low-cost carrier for free. The food was available on board though. Overall I enjoyed the journey. The service has been consistently good. This is the best airline for domestic travel within India. In my experience, they have been on time every single time (6 – 7 times a year that I flew). Extra legroom seats are charged nominally, no business class. Decent choice of snacks and beverages (no alcohol), crew is very professional and friendly. The aircraft could do with some in-flight entertainment though. I definitely recommend this airline to anyone visiting India or flying out. ← Delta Airlines Cancellation Policy, Refund Status And Delays!